The Toyota Camry has a glorious history that's always been founded on the core values of providing you with dependability and dedicated service. Here, we too are dedicated to offering you with genuine auto parts at giant discounted prices, and exceptional customer service. The Toyota Camry has a strong Japanese brand image known for innovation and quality that gives it a competitive advantage. Here, our competitive drive is to simply offer the biggest and best online selection of OEM Toyota Camry parts at the lowest prices possible. You can drive your Toyota Camry with pride, knowing that you own a vehicle from one of the most dependable automotive manufactures. 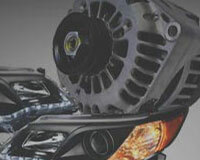 Your parts will arrive fast directly to your door when you order from us. 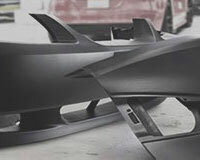 Toyota Parts Prime is the best online source for auto parts. Being one of the best-selling and most successful vehicles in the industry, Toyota Camry has been produced by a renowned Japanese automotive manufacturer Toyota Motor Corporation since 1982 as a compact and mid-size car. Originally introduced to replace the Celica Camry and Corona, Toyota Camry becomes Toyota's second "World Car" after the Corolla. Dominating the mid-size family sedan segment for about thirty-five years, Toyota Camry has been manufactured through eleven generations till now. The ninth-generation Toyota Camry was produced from 2006 to 2011 and debuted at January 2006 North American International Auto Show as a 2007 model. It was split into two separate configurations: "Regular" and "Prestige" and came with trim levels including the base, LE, XLE and SE as well as hybrid versions. Back then, Camry was powered by 2.4 L, 2.5 L inline-four and V6 engines and engines sent power through 5-speed, 6-speed manual, 4-speed, 5-speed, 6-speed and CVT automatic transmissions to front wheels or four wheels. Current generation Toyota Camry was put into production since 21 August 2011 and debuted at the 2011 NASCAR Sprint Cup Series with sales beginning in September 2011. It came with many trim levels such as L, LE, SE, XLE, SE V6, XLE V6, Hybrid LE, Hybrid XLE and 2014 Hybrid SE. And Toyota Camry now is powered by engines ranging from 2.0 L I4 rated at 145 horsepower to 2.5 L I4 generating 154 hp and engines are coupled with 4-speed, 6-speed automatic and CVT transmissions. First, engine failure is what troubles Toyota Camry drivers most when it comes to issues on it. 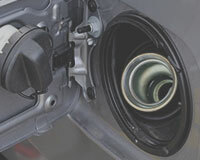 According to car repair statistics site CarComplaints.com, excessive oil consumption is often the first symptom that Toyota Camry owners find when encountering this issue. But in fact, this issue starts when the engine makes out a strange sound. The following symptoms often include engine misfiring, stalling, suffering from starting and losing power while acceleration. 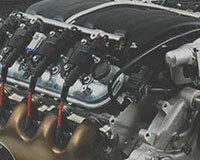 For some drivers without much knowledge about vehicles, often the lit Check Engine Light is enough as a sign to inspect the Camry spark plug, oil filter, oxygen sensor, air filter, ignition coil and drive belt immediately. 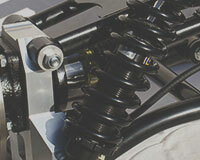 Second, suspension failure is often a tricky and troublesome issue for Toyota Camry drivers. Not because people find it hard to deal with but because many drivers have not realized its seriousness. What this issue brings is not only an unpleasant and unsteady driving trip but also some potential dangers. Generally, the specific symptoms of this issue in Camry manifests as grinding or roaring noises from beneath the vehicle, uneven tire wear and intense car vibration. But the sluggish response in handling because of a loose steering wheel could put occupants' life at stake. In order to have a safe ride, please make sure the Camry wheel bearing, strut housing, sway bar link, sway bar bushing, coil spring and coil spring insulator are in good condition all the time. Caution is the parent of safety, thus, routine maintenance on some vulnerable parts in your Toyota Camry is much needed. First of all, the braking system should be maintained periodically is for sure, which means the Camry brake pad set, brake disc, and brake drum should be maintained well. 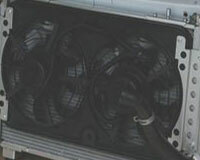 The seat belt is responsible for guaranteeing occupants' safety in sudden movement; cabin air filter is used to make sure occupants with respiratory diseases won't get allergic with particles in the air; wiper blade, headlight and fog light bulb is used for excellent driving visibility. Routine maintenance on them is indispensable. When faced with overwhelming selections of auto parts for Toyota Camry, please choose OEM Toyota Camry auto parts firmly as they could restore your vehicle's factory performance to the fullest potential without a little bit of loss of performance. If you have a concern about price, then you could shop at the complete catalog of lowest-priced genuine Toyota Camry auto parts backed by the manufacturer's warranty from ToyotaPartsPrime.com. Hassle-free return policy and quickest delivery service are also available for these OEM Camry parts, you can shop with confidence!